Tucked into a cabin in the midst of snow covered pine and cranberries simmering on the hearth… it’s a winter wonderland! Top notes of winter berries, middle notes of ozone and bottom notes of juniper and pine makes this a very clean and unique scent. 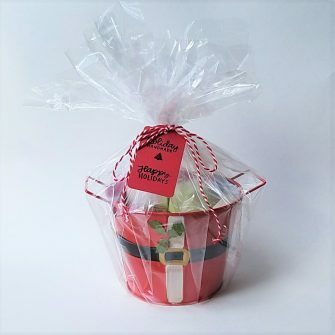 This scent of our cupcakes is so good you’ll want to smell it all year round! 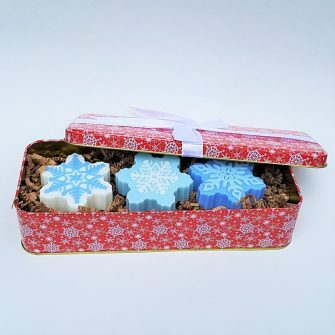 Get 2 of SOAPY best selling products in one! 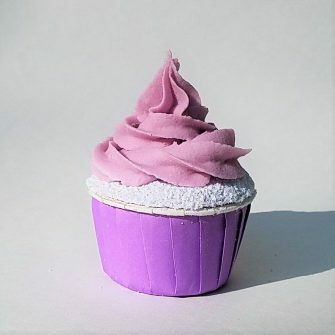 These adorable Bubble Bath Bomb Cupcakes have a bath bomb as the base, and bubble bar frosting! These cupcakes are adorable and incredibly realistic, look like a sweet treat good enough to eat but it is actually a calorie free dessert for your bath! 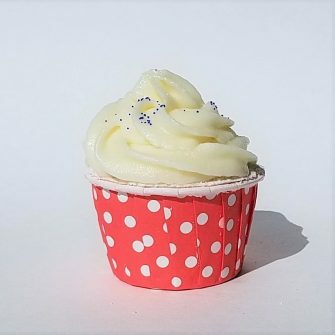 Our Bubble Bath Bomb Cupcakes help you relax for some much needed down time while taking in the scent of winter wonderland. 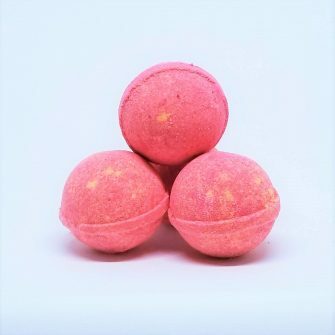 Full of natural oils, our Bubble Bath Bombs provide much needed moisture and smell heavenly. 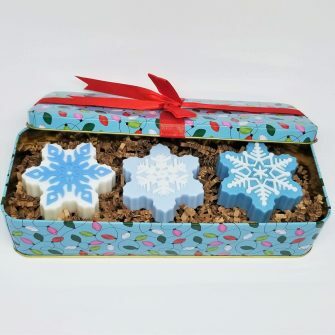 A wonderful treat for your skin! **SOAPY isn’t massive production so each bath cupcake can slightly differ in color or shade from the one that you see on the picture. Sodium Bicarbonate, Meringue Powder, Citric Acid, Purified Water, Powdered Sugar, Epsom Salt, *Powdered Sodium Lauryl Sulfoacetate (SLSA), Cream of Tartar, Coconut Oil, Essential Oil, Fragrance Oil, Vegan Mica Colorant, Goat Milk Soap, Bath Beads, Cosmetic Sparkle Mica. *Sodium Lauryl Sulfoacetate (SLSA) – A great alternative to Sodium Lauryl Sulfate. This product is derived from coconut and palm oils, and conforms to Ecocert’s natural and organic cosmetic standard and is 100% of natural origin.